One of the largest school districts in California plans to put in all-gender bathrooms at all of its campuses. The movement began San Jose Unified School District's Lincoln High School more than a year ago. The district now said it is time for the rest of its schools to catch up. "I just hope that all school districts would be as open as San Jose Unified is in making sure they have gender neutral bathrooms for students to be able to use," said Ken Yeager, a Santa Clara County supervisor. Yeager has been a champion of the LGBT community and he applauds the move. Students said there have been no issues since all-gender restrooms went up at Lincoln High School. "I go into the all-gender bathrooms and every time I go in there's boys and girls, sort of like it's always been happening," student Camillo Cervantes said. A sign on every bathroom alerts students to text any complaints to the administration. 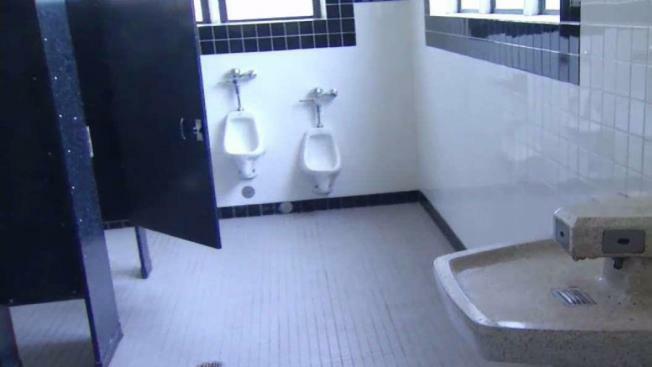 "If students see inappropriate behavior or bullying or harassing comments in any bathroom, they can report it via text," Lincoln High Principal Matt Hewitson said. Hewitson said said there have been zero complaints so far. The district's goal is to have gender-neutral restrooms on every campus by the end of the calendar year. The only cost for the change is signage -- no remodeling is needed in the all-gender restrooms. Lincoln High also still has a few boys-only and girls-only facilities.